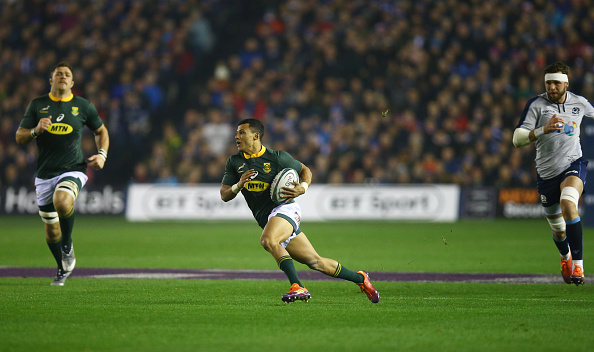 The first half of the clash between Scotland and the Boks made for compelling viewing. Each side scored two excellent tries, but the second stanza largely degenerated into a battle of attrition. What the Boks will be most pleased with during this time, though, was their controlled game management as they quite simply suffocated the life out of Scotland. 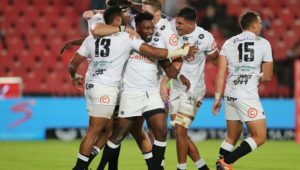 Substitutes such as Elton Jantjies and Bongi Mbonambi once again made telling contributions as the Boks clinically closed out the match to record their seventh win of the year, but just the third away from home. The talented 21-year-old made his long-awaited first Test start on Saturday, and certainly made the most of the opportunity. Besides one poor box kick that went virtually straight up, Papier otherwise enjoyed a solid outing at scrumhalf. 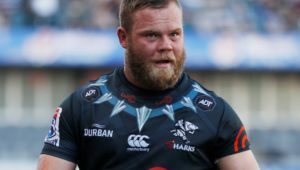 His lovely running line and sidestep in the lead-up to the Boks’ first try early on was a real highlight, but his service and gutsy defence were also encouraging. He should retain the No 9 jersey for the Boks’ final Test of the year against Wales. The officials in Edinburgh will once again need to answer for a couple of incidents in Saturday’s Test. In the 45th minute, French referee Romain Poite harshly yellow-carded Willie le Roux for a deliberate knockdown when it looked as if he was certainly going for the intercept. However, it’s a murky area of the rulebook that requires officials to rule whether the player had a legitimate chance of recollecting possession. It’s an aspect of officiating that must be clarified before next year’s World Cup. In another missed incident, the Boks were extremely fortunate that the officials did not spot Siya Kolisi making contact with the head of Scotland centre Peter Horne as he was being held on the ground. One would imagine that it may well be cited as it did look to have reached the red-card threshold. What a year it has been for Ireland. 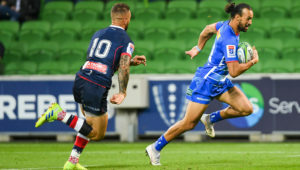 Besides completing the Grand Slam on the way to the Six Nations title, they also overcame the Wallabies in Australia back in June. On Saturday, they added to that list of achievements with a fully deserved victory over the All Blacks. In all honesty, New Zealand hardly ever looked to be in the game, with Ireland forcing them to make an uncharacteristically large number of tackles as they delivered a display of impressive phase play. Ireland’s defence and work at the breakdown were also filled with ferocity and passion, and the All Blacks simply had no answer. Plenty of plaudits have to go the way of Ireland and astute coach Joe Schmidt, who has taken the team to a new level in 2018. 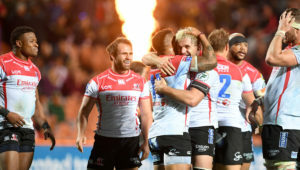 One must always be wary of reading too much into the end-of-year Tests, with the southern hemisphere sides coming to the end of an exhausting season, while their foes from the north lie in wait on their home turf. However, when one considers the performances of Ireland, England, France and even Scotland, it’s fair to say that the World Cup looks like it could be wide open in Japan next year. It’s good news for the game that the All Blacks can no longer be considered outright favourites, and there are at least a handful of teams that could be considered realistic title-contenders.